Highlights of 2017: I am afraid it has to be retiring at the end of January as I still can’t quite believe it has happened. It seems my resolution from 2016 came to fruition in a way I did not expect as I was appointed Chair of Healthwatch Lambeth; a great privilege, and I have enjoyed meeting new people and getting to know more about patient and public engagement. It has also been great working alongside Black Thrive colleagues initiating a whole new collaboration building on our Living Well foundations. Resolution(s) 2018: To see more of my friends, get more fresh air and read more novels as well as to ensure the voices of patients, service users and the public are heard and acted on more effectively in public services in Lambeth. 2017: Formation of the Alliance; some of our trainees finding work and everyone staying well. 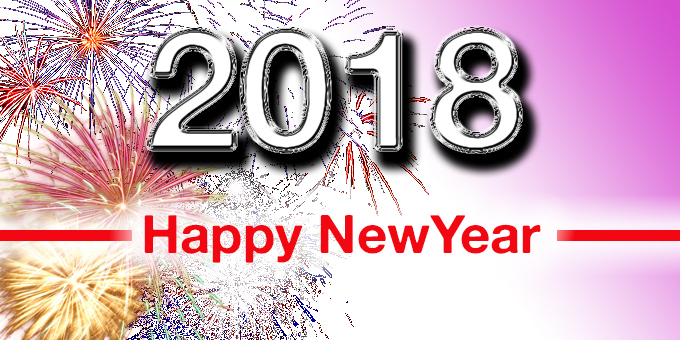 2018: Ensure the future of SRA within the Collaborative and Alliance and Lambeth Employment Alliance. 2018: My resolution for the year ahead is that we can, via the introduction of the alliance contract, make even more impact on what really matters for people. 2018: My new year resolution is to run a personal best at the Royal Parks Half Marathon later this year with 100 supporters of Lambeth and Southwark Mind work. I’m also hopeful that 2018 will see the expansion of our much in demand and valuable psychotherapy and peer support groups thanks to the work of our excellent staff team. 2018: I’m expecting another tough year for health and care, and therefore even more important that we look after ourselves and look after each other. 2017: Setting up the Lambeth Mental Health Carers Forum, as collaborating with the carers we support on this has been constructive and a useful way for carers to engage with the relevant professionals. Also seeing our Young Carers team win a Lammy award (NHS Lambeth CCG) was a particularly proud moment. 2018: Looking forward to the launch of the Lambeth Carers Strategy in February. And to make our Hidden Carers project a success. 2017: Arsenal beating Tottenham in the Premier League. 2018: More well-being initiatives to support people to consider their physical health and creating opportunities to reduce early deaths among those we support who live with a mental health condition. 2017: Recruiting and training peer supporters; having precious peer supporters move on in their career and progress. 2018: Hopefully we can build on our solid collaborative foundations we have put in place over the past seven years ; by seizing upon the opportunities offered by the Living Well Network Alliance and by playing an active role in the wider Lambeth Together strategic alliance … and of course that the green and white army continues its march onto 10-in-a- row. 2017: Produced Healthwatch Lambeth employment and consultation plan to support alliance development. 2018: Ensure co-production becomes “real”. 2017: The achievement – seeing organisations and individuals coming together as an Alliance, to challenge ourselves to do better – and design services that can help people when they need it, not when the service decides they’re ready. 2018: Beginning to put these designs into practice, and change the way we work. 2018 This is the 70th anniversary of the Windrush where Lambeth played a critical role in welcoming and making home many people from the Caribbean. Black Thrive along with many others will contribute to this landmark occasion locally and nationally. Black Thrive will build on its consolidation phase in developing its programme of activities, support the development of the Living Well Network and further social media and communications plans. 2017: has been a good year. In addition to prototyping new projects and ideas we’ve been able to continue providing support to those furthest away from the labour market. Links with other Collaborative members have also been strengthened. 2108: Will see an increase in activity as we will be introducing some brand new courses at Abbevilles and the West Norwood garage. Looking forward to seeing the new Alliance taking shape. 2017: Members of our workforce getting into full-time employment. 2018: Increase training business to SMART garages. 2017: An IPSA (Integrated Personalised Support Alliance) workshop in March for people who use these services. It was very valuable to hear people’s experiences, priorities and to see their enthusiasm to be involved. Hearing people’s positivity about moving into more independent housing. 2018: An inspiring, successful and useful workshop in January for people using services. Expansion in size and influence of IPSA involvement group. Improve communication/feedback with people using IPSA/Living Well Network Hub.